The characters in children's books are so vivid that they can stay with you long after you’ve finished the book. 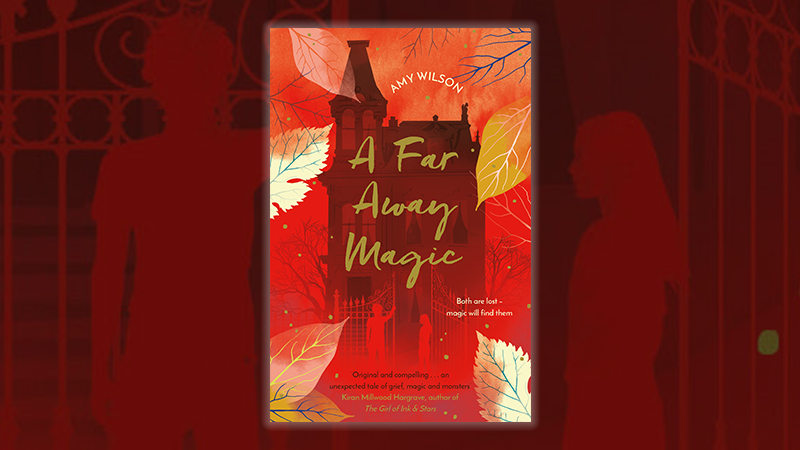 Amy Wilson talks about the difficulties she found when writing A Far Away Magic, and how she overcame them. The characters in children’s books are so vivid that they can stay with you long after you’ve finished the book. But these characters are sometimes the hardest to write. Amy Wilson talks about the difficulties she found when writing A Far Away Magic, and how she overcame them. The most incredible thing about storytelling is how mysterious it is. Every story ever told, and every time it is retold, brings to life a whole different world. There is no right way to do it, and no wrong way. There is no sense to it, and yet it is how I make sense of the world, and how so many of us do. I was very lucky to grow up in a house full of books. My grandparents gave me Alice’s Adventures in Wonderland and Alice Through the Looking Glass when I was five, and my brother and I fought over Aesop’s Fables, Hans Christian Anderson stories and, later, Roald Dahl. There were many others, but these are the ones that come instantly to my mind and I’m struck now by the fact that all of these deal with the most strange and wonderful characters. Not always kind, quite often a little terrifying, but so vivid. The tower-sized eyes of the dog in The Tinderbox still haunt me now. And I love that. I love the strangeness of fiction, love a story that twists and tangles, a character who takes you by surprise in the most delightful way and stays with you long after you’ve finished reading. Once I’m hooked I will go anywhere, do anything with them. Their issues are mine, their challenges and their triumphs, in that moment, are all as real as my own. When I’m writing, it is the character who leads the way. Sometimes they burst onto the page with their issues intact, all ready to go. Sometimes they hide. Sometimes they do a little of both. Bavar, one of my main characters in A Far Away Magic, was so clear to me. He was in my mind’s eye long before I even started writing. And yet, he would not speak! It took me 17,000 words to get him to even begin to think about talking to Angel. It was infuriating, but I loved him even more for it, because it felt real, true to his character. I say all this, and then have to admit that for my third book the story came first. I knew the world, I knew the adventure, but I could not find my main character, and without her we couldn’t go anywhere. I came at it from all angles, trying to find her. I wrote in third person, past tense, then in first person, present tense. I wrote in Cambria, Lucida Blackletter, Herculanum. I gave her a dog, and then took it away. I gave her a bird. I gave her two parents, and brothers, but that wasn’t right. She had an uncle, but he became an aunt. Eventually, I found her at school. She’d been hiding there. Most of my characters hide at some point. They’re not always sure they’re ready for their adventure; for their story to be told. In the end, so far, we get there. Somehow. It’s still a mystery to me quite how.